Big Blue Bug Solutions, formerly known as New England Pest Control, has been providing pest control services to Barrington, RI for over 80 years. Big Blue Bug is widely known throughout New England by the iconic 4,000 pound steel termite, lovingly named Nibbles Woodaway, which is located on the roof and highly visible from I-95. Having been in business since 1935, we have established the most comprehensive pest control services available in New England. If your home or business is in need of an exterminator in Barrington, RI, contact Big Blue Bug Solutions today. If you have noticed any of these signs of termite activity around your Barrington home or business, it is important to contact a professional termite exterminator immediately. At Big Blue Bug Solutions, we offer both residential commercial termite control programs designed to eliminate termites. To schedule an inspection of your Barrington facility, or to discuss the commercial pest control options available, contact Big Blue Bug Solutions. This residential pest control program is a yearly service designed to keep your home pest-free year round. The plan includes an initial inspection and treatment of your home, three seasonal services and free emergency service. No matter what your pest problem is, the experts at Big Blue Bug have the answer. If your Barrington home is host to ants, rodents or any other pest, contact us today. If you have noticed these large, black ants in or around your home, do not hesitate! 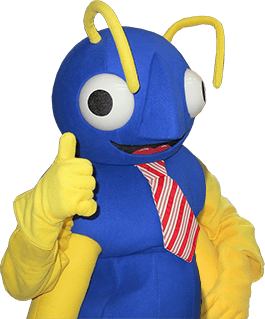 Contact Big Blue Bug Solutions today.